The St. Claude Veterinary Clinic was first established as a provincial veterinary services district clinic in 1975. Veterinary Clinic in the summer of 2013. Together we are committed to providing quality veterinary medicine and surgery to our clientele. We strive to offer the best health care options for our client’s livestock and pets. Dr. Marc Philippot was born and raised in St. Claude, Manitoba. He graduated in 2001 from the Western College of Veterinary Medicine in Saskatoon, Saskatchewan. 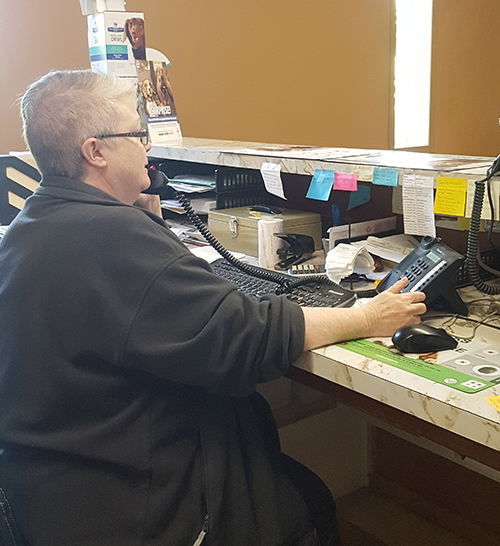 After working for three years in Oakbluff, Manitoba; Dr. Philippot returned to his hometown of St. Claude and took over the clinic on May 1, 2004. In 2010, Dr. Philippot became a board member of the Manitoba Veterinary Medical Association (MVMA), ending his term in 2014. In 2012, Dr. Philippot became President of the MVMA; allowing him to meet and work with colleagues from across Canada. While not working, Dr. Philippot enjoys reading, travelling, camping, fishing and quadding with his wife Kristie, two sons and two dogs. 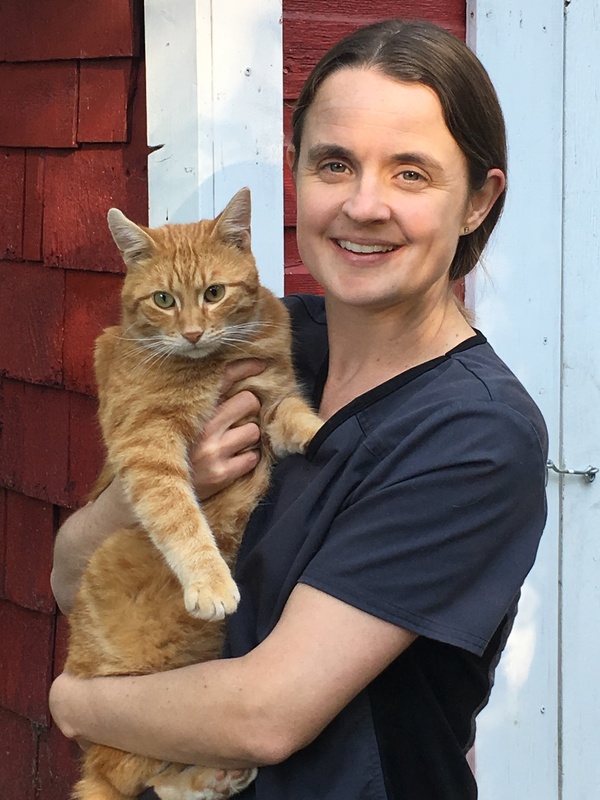 Dr. Prejet graduated from the Western College of Veterinary Medicine in 2002. 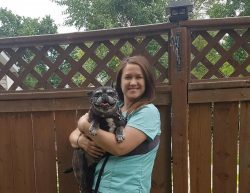 She started working at South Central Vet Clinic after graduation, and the Carman Veterinary Clinic when it opened in 2004. She has a keen interest in feline medicine and is a member of the American Association of Feline Practitioners. On the large animal side of things, Dr. Prejet enjoys swine medicine. In her free time, Dr. Prejet enjoys spending time on the farm with her husband and four young children. She also enjoys reading, hockey and gardening. Dr. Naomi Mabon graduated from the Western College of Veterinary medicine in 2011 in Saskatoon. She enjoys both small and large animal medicine and surgery; mainly beef cattle and sheep/goats on the large animal side. Originally from Notre-Dame-de-Lourdes; she grew up on a beef and grain operation; where her parents continue to farm to this day. Dr. Mabon now lives on an acreage outside Notre-Dame where she and her husband Don are raising their son. They are also expecting another child this fall. They have 2 large dogs; Hudson and Luna, and 3 barn cats. Kristie was born in Calgary and raised in Airdrie, Alberta. 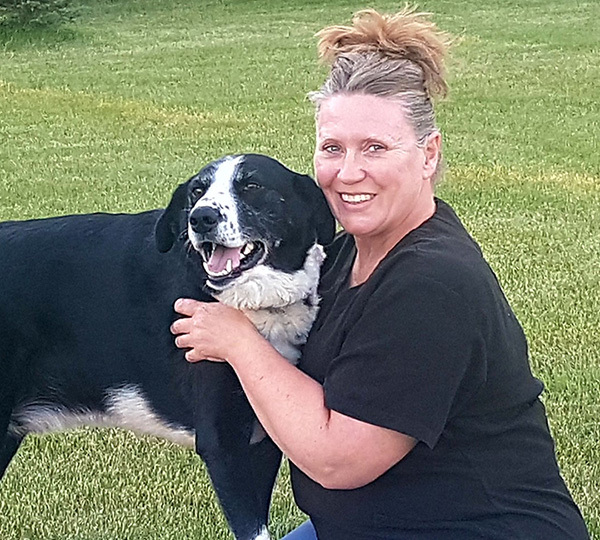 She graduated in 1999 from the accredited Animal Health Technologist program at Lakeland College in Vermillion, Alberta. Kristie moved to Manitoba in 2000 and worked as an AHT in both Oakbluff and Stonewall, before joining us full-time in 2007. 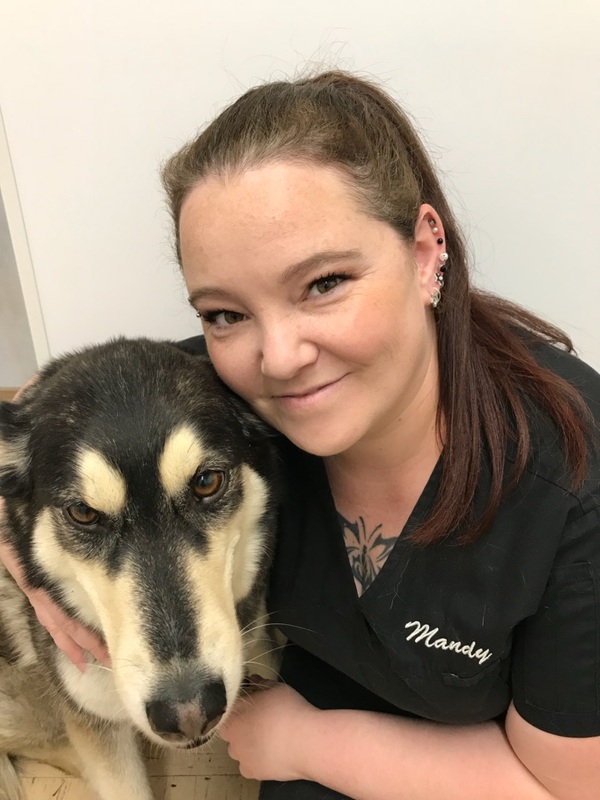 Kristie enjoys working with both small and large animals at the clinic and spending her free time painting ceramics, reading, travelling and camping with her family and dog named Kaiya. 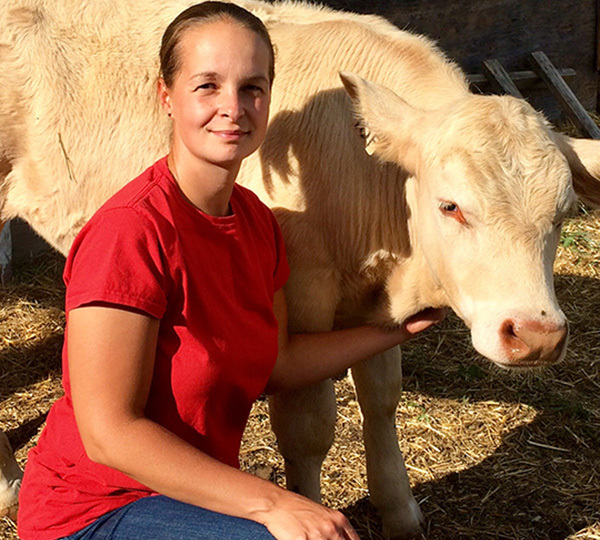 Jenna was raised on a beef/grain operation in Alberta. 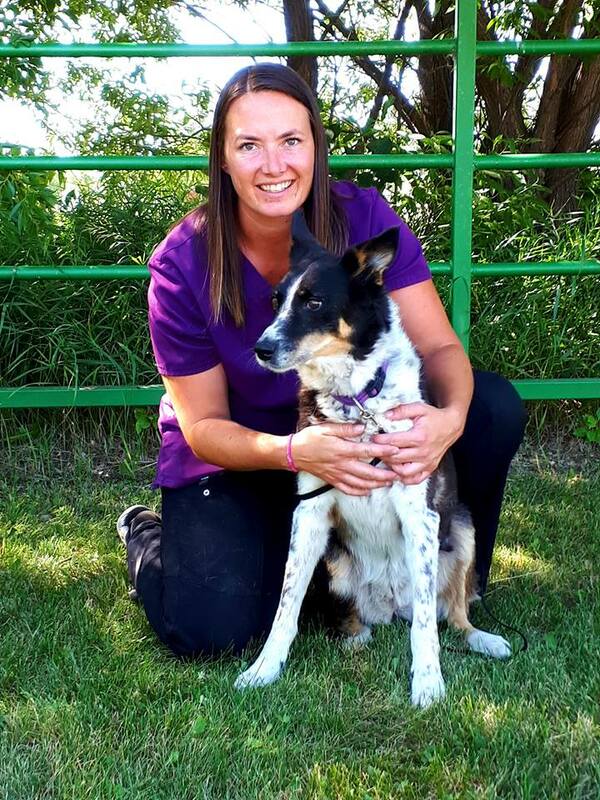 She completed her Equine Massage Therapy course in 2001 and then graduated from the Animal Health Technologist program in 2007 at Lakeland College in Vermillion, Alberta. Jenna enjoys working with both small and large animals at the clinic; but she is also kept busy helping her husband Mitch on their cow-calf operation in Oakville, Manitoba. 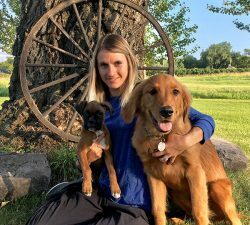 Jenna enjoys spending her free time with her husband and children, dog J.D., cat Morden, and taking care of her several horses. Sophie is originally from St. Claude, Manitoba and graduated in 2012 from the accredited Animal Health Technologist program from Red River Community College in Winnipeg, Manitoba. Sophie started working here at the clinic as a student, and during that time she rescued a three-legged cat named Hobo (apricot and white) and also has Houdini (cream). During Sophie’s free time, she enjoys reading and spending time with friends and family. Mary was born in Taber, Alberta, and raised on a small grain/cattle farm. She graduated from Olds College, in Olds, Alberta in 1997 where she received her diploma in Animal Health Technology. She has since worked and resided in Calgary and area, & Medicine Hat, Alberta until 2005, when she moved to Notre Dame de Lourdes, MB and joined the South Central Vet Clinic. 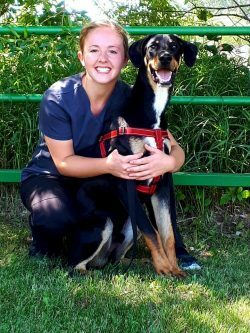 She enjoys both small and large animal, and has a strong interest in anaesthesiology, small animal dentistry, and pain management. She currently lives on a grain/cow-calf operation in Mariapolis, MB and enjoys almost anything outdoors, and all things nature and animals. 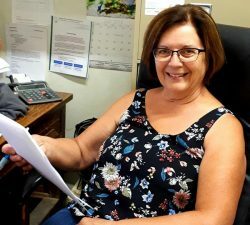 Pam was raised on a farm outside of Notre Dame de Lourdes, MB. 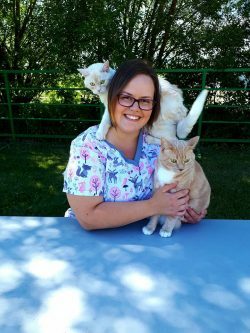 She graduated from the accredited Animal Health Technology program at the Red River College in Winnipeg, MB in 2009 and has since worked for Notre Dame Vet Clinic/ Carman Vet clinic ever since. Pam enjoys working with both large and small animals. She spends her free time with her husband and two kids with a baby on the way. She also enjoys gardening, outdoor activities, reading and helping out at the family farm whenever needed. Nicole was raised on a farm outside of Elm Creek MB. 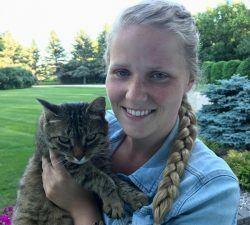 She graduated from the accredited Veterinary Technology Program at Red River College in Winnipeg in 2018. Nicole enjoys working with both large and small animals. She spends her free time with her husband Dustyn, dog Maverick and horse Duke. 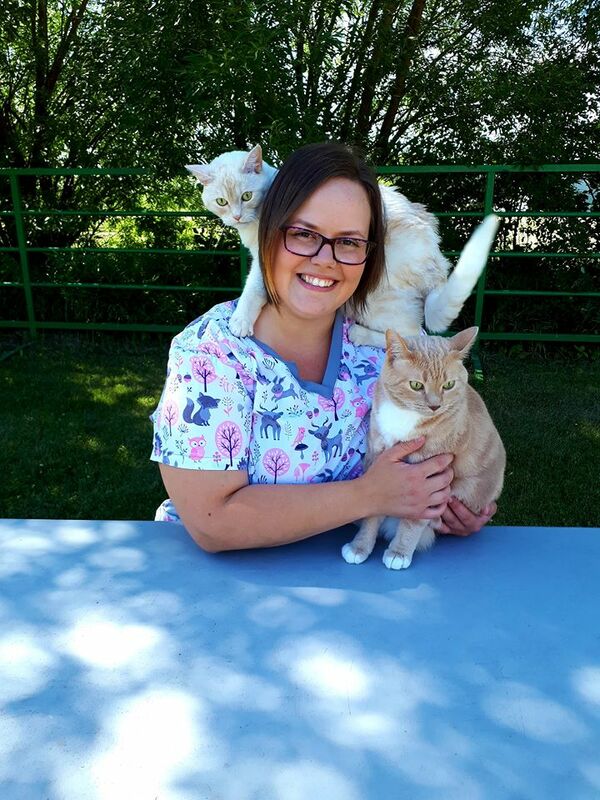 As a 2008 graduate of the Animal Health Technology program from Red River College, Mandy has devoted her career to working with small animals in a clinic setting. 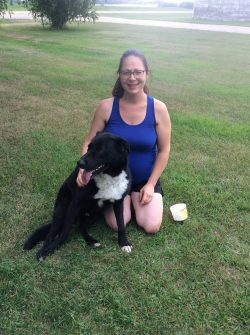 She recently moved to Carman with her husband John, and 8 month old baby John-Wayne, as well as her fur-babies Bonika, a 6 year old Husky X, and cats Mudd and Fugly. Dianne has been employed at the St. Claude Veterinary Clinic for over 25 years. She has enjoyed a multitude of different tasks, including vet and kennel assistant. With the growth of the practice and staff over the years, Dianne currently manages many office duties. Dianne and her husband Alan also operate a beef/grain farm in the Rathwell area. Dianne enjoys gardening, camping and going for walks with Hunter, her black lab. Sue is originally from Ontario, but has spent most of her married life in Alberta. She currently lives in St. Francois-Xavier, Manitoba with her with her husband and dog Blue. Sue began working at the clinic in 2009 and serves our clients as a receptionist and kennel assistant. She enjoys spending her free time doing puzzles, watching movies, painting ceramics and camping. Jennifer was raised on a beef farm in Roseisle. 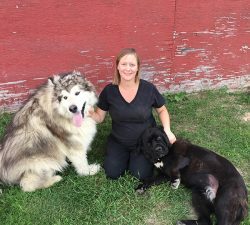 She began working at the Notre Dame Vet Clinic in 2004, then move to Alberta for a few years before returning in 2012. She enjoys working alongside her husband Richard and her parents on the family farm. In her spare time she enjoys gardening, reading and spending time with her husband and 2 children. Patrick attends the St. Claude School Complex as a high school student and works at the clinic on most Saturdays, as well during school breaks. Patrick enjoys working with the staff and the public, and is always eager to help. While not working at the clinic or doing homework; Patrick enjoys curling, playing broomball and hockey, singing and camping.